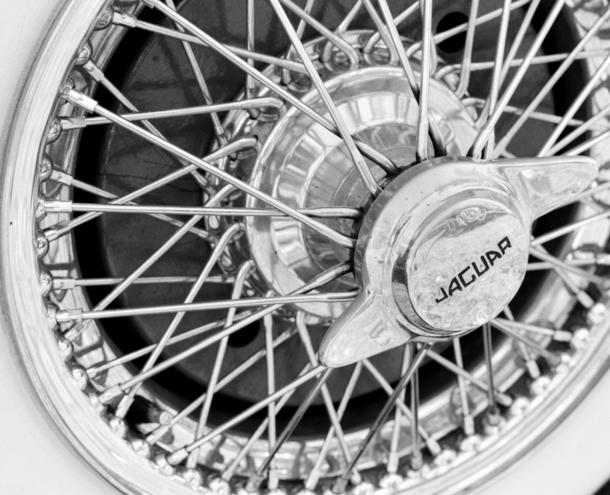 Close up of Jaguar wheel and spokes. Taken at Caffeine and Carburetors at Waveny Park in New Canaan, CT. Shot with my Pentax 6X7 using Fuji acros film.